The Oak Processionary Moth, a native species of the Mediterranean region, has migrated northward, possibly as a result of climate change. 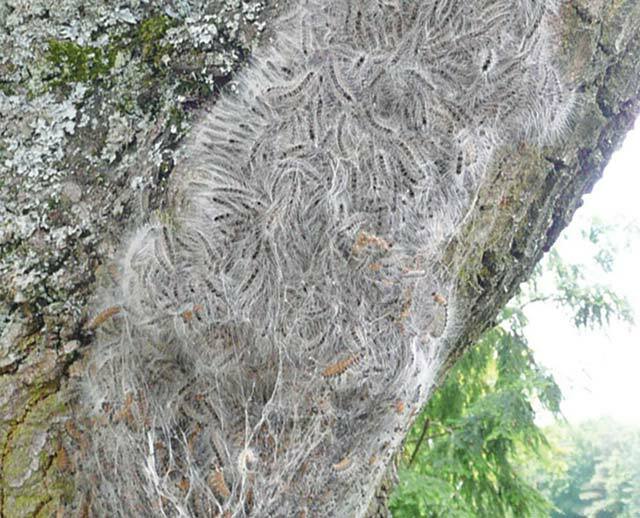 An Oak Processionary caterpillar nest on an oak tree is a clear warning sign to stay away. It is now well established in the Stuttgart region and this year, its appearance is expected earlier than normal due to the dry, warm weather. Oak trees at the edge of a forest can be infested, as well as a single oak tree in a garrison housing area, park or playground. The caterpillars typically follow one another head-to-tail in long “processions” to and from the nest, and from one feeding position to another. The caterpillars are covered in tiny hairs that can cause itchy and painful rashes if they come into contact with skin. Contact with these hairs can irritate one’s lungs, eyes and skin, and in some cases, can cause severe allergic reactions. • Do not play, picnic or walk under oak trees. • Do not wear short-sleeved clothing in wooded areas. • If you are exposed to the oak caterpillar hairs, take a shower and wash your clothes immediately. • Close the windows if you live in a neighborhood with oak trees. • Consult a physician if severe symptoms develop. • Do not touch caterpillars or attempt to remove their nests. 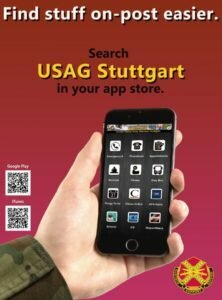 To report a nest, call the U.S. Army Garrison Stuttgart DPW Environmental Division at 421-6132/civ. 0711-729-6132.